Is your closet full of bright, cheerful clothing, but your bedroom decorated in neutrals because you’re afraid that using lots of color in a room is overkill, or something best left to the pros? 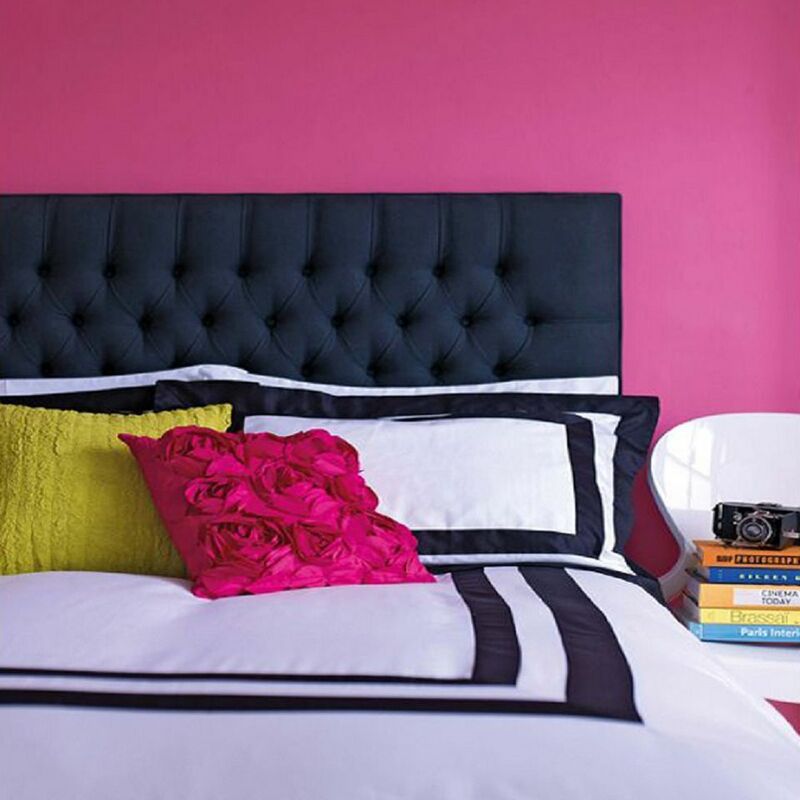 Although neutrals are beautiful when done well, there’s no reason not to use bright colors in the bedroom as long as YOU are a fan of intense hues. Take a look at the 10 cheerfully colored bedrooms shown here: you’ll find a decorating range of brights-as-accents to all-out-color to everything in between. You’re sure to find some inspiration for your own space. And it isn’t that hard to get color right—read on for tips and tricks for making color your own. Want to ignite your room with color, but afraid of a decorating burn? The solution is simple; keep your walls and bedding white, and then add sizzling artwork, throw pillows, small furniture and window treatments to the space. The result: just look at this bedroom, decorated by Causa Design. Fun, funky and colorful, but not overwhelming at all. It IS your bedroom after all, so if you are looking for an easy—and safe—way to add bright, bright color without making a permanent commitment, then go with a duvet cover or comforter that’s a riot of pattern and rainbow-bright hues. The duvet cover shown here mixes funky leopard print and chevron designs with a whole lot of color. What fun! The large expanse of white bedding and the romantic white canopy provide a cooling counterpoint to all the hot color. Not everyone wants this much color in their bedroom, but wow, if you have a gypsy soul, love the bohemian look or just have a personality that cries out for self-expression, this is the room for you. The owner of this bedroom followed only one decorating rule—if I love it, then it’s right for me—and what a glorious result. Add plenty of white to keep things under control, and you have a color combo that looks great in any room. It’s a classic palette: any single bright color plus white. The color is lively, the white is serene, and the result is a decorating scheme that is fun yet grownup. If you’d like to take it just a bit further, though, take a tip from this gorgeous bedroom, and add a totally unexpected shot of contrasting color on the legs of the furniture. It’s just enough to shake things up, and a great touch of whimsy. Looking for a new idea for an accent wall? How about painting it with ribbons of hot color? Add a couple of throw pillows and a throw blanket that tie into the wall’s palette; provide balance with white bedding, walls, and drapes; get unexpectedly rustic with a reclaimed wood headboard, and the result is a bedroom that looks as great as this one.